In a Martin Luther King Jr.Day speech that was more about his own philosophy toward appointments and diversity, Gov. Ron DeSantistold a festival gathering in Winter Park Monday that he’s only interested in finding good people for his administration. “You think about some of the history of discrimination: How many people who had so much talent weren’t allowed to succeed? That’s what we don’t want. We want people to be able to go as far as they can, you know, through hard work and perseverance. 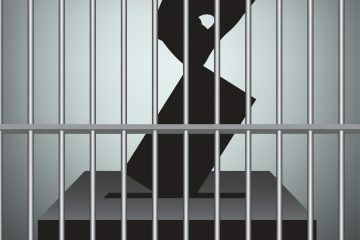 And that’s what we need to do here in the state of Florida,” DeSantis said. The governor went into no detail and made no references to Affirmative Action programs, other hiring preferences, or anti-discriminatory policies for minorities, LGBTQ candidates, or disabled candidates. 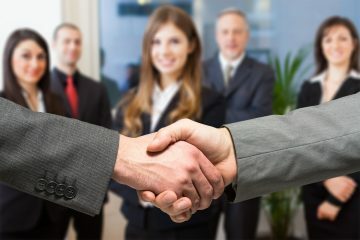 Instead he offered a philosophy of simply allowing no barriers in hiring, suggesting that is one of the lessons he believes arises from King’s ideals. And he also suggested that means ignoring “good-old-boy networks” or other usual avenues. 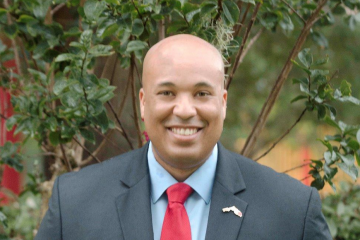 One of those DeSantis held out as an example is Enterprise Florida President Jamal Allen Sowell, who accompanied him to the Unity Heritage Festival in Winter Park’s predominantly African-American neighborhood of Hannibal Square. “I’m happy, as governor you get to sign bills and all of that stuff. But you get to appoint a lot of people to office, and Jamal is the head of all of Enterprise Florida, trying to bring business into our state. He’ doing a great job. He’s a Marine. He’s outstanding,” DeSantis said. 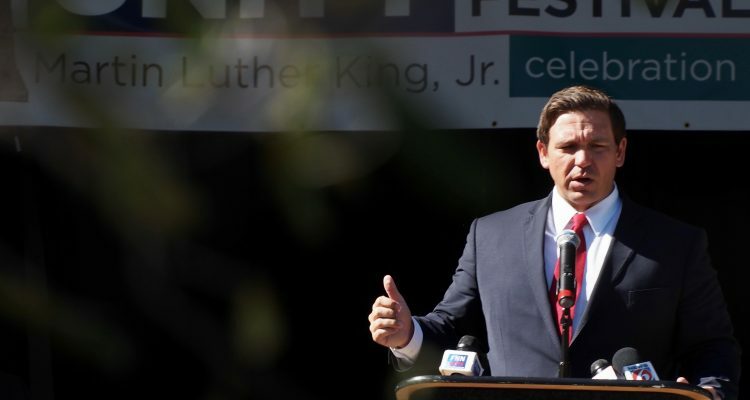 DeSantis spoke for less than six minutes in front of a crowd for that and other MLK Day events in Shady Park at Hannibal Square. “The things he stood for really are for all time, and the principles and ideas he believed in really have stood the test of time and we’re a better country for having had his leadership. 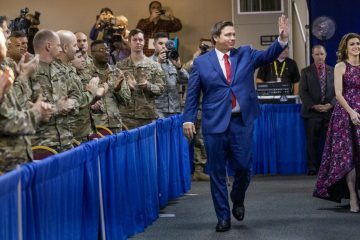 And when I look at what his legacy is, for me, he understood better than a lot of people who profess to be supporters of America’s ideals, he understood them better and he actually took them seriously, these really are the best ideas,” DeSantis said. “And he took them seriously: That’s what you guys wrote in the Declaration of Independence. That’s what the Constitution supposed to stand for. And all he was asking was to take part in this great experiment. And he understood that the rights are God-given rights. It’s not government to tell you. You have these rights..
“And he stood for these principles, and I think that for me, what I think of is, I don’ t want any artificial barriers to people succeeding. We all have different God-given talents,” DeSantis said.